Hartebeeskraal Self catering cottage - Paarl Accommodation. 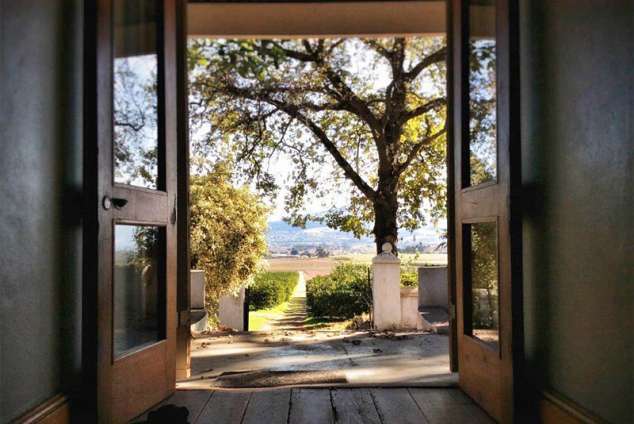 This charming 1800's farmhouse is nestled at the foot of the Klein Drakenstein Mountains in the heart of the winelands. Situated between Paarl and Franschhoek, it offers you closeness to a wide variety restaurants and well-known tourism facilities. The farm Hartebeeskraal, lies opposite two famous golfcourses, Boschenmeer and Pearl Valley as well as the Polo Estate, Val die Vie. This makes it the perfect getaway spot for sport enthusiasts. It is situated 2,4km from the N1 and a scenic 15 miniute drive to Franschhoek. The cottage offers you the following: 4 bedrooms - 2 with king-size beds ( can be separated as singles) 1 with 2 single beds and 1 with a bunker bed. One large bathroom. Open plan air-conditioned living / dining and fully equipped kitchen. TV with DSTV. Inside and outside braai / BBQ. The cottage will be serviced and provided with fresh bedding and towels every 3rd day, with the exception of Sundays and public holidays. Coffee, tea and braai wood is complimentary as well as fresh fruit harvested from the farm. Enjoy panoramic views of Paarl and Paarlberg from a spacious front stoep. Or relax in the garden or in the private courtyard with views of the Klein Drakenstein Mountains. Escape from life's busy routine and enjoy tranquillity on a working farm. 26593 page views since 12 Apr, 2010.